DEAM provides emergency food and financial aid to those who meet eligibility requirements for residency, and can provide the necessary documentation. Please enter your address into the map finder below to determine if you are in the coverage area for assistance. If you are NOT in our service area click HERE to see additional resources where you may be able to receive help. All DEAM services are provided at Holy Trinity, and all requests must be considered in person at the DEAM office between 9:00–11:30am, Mon, Tues, Thurs or Fri, except that Utility bill assistance is by appointment only. Call 404-373-2300 on Mondays or Fridays from 11:00 am til noon to request an appointment time for utility assistance. DEAM provides services to all qualifying residents without regard to race, gender, age, religion, or sexual orientation. Due to limited financial resources, unfortunately, it is not always possible to help all qualifying residents. Utility bill assistance is by appointment only. Call 404-373-2300 on Mondays or Fridays from 11:00 am til noon to request an appointment time for utility assistance. Food and prescription assistance is provided in person on a first-come, first-served basis. See items to bring and office location information below the map. If you are unable to view the map below, click here. Below is a comprehensive list of zipcodes served by DEAM. Please use this guide to determine if you are eligible for services. If you discover your residence zip code is not included, please see the list of additional resources at the bottom of this page for organizations that might be able to assist you. PORTIONS of a few other zip codes located inside the blue area outlined in the above interactive map. If you are not eligible for DEAM services, click here for more resources. Verify residency eligibility by referring to Service Area Map above. Must bring proof of current residency, such as current utility bill , a recent piece of mail, or lease contract. Drivers license not accepted as proof of address. Must bring social security cards for all family members (birth certificates for children under 18) seeking assistance. If requesting financial aid for medical prescriptions, please bring pharmacy phone number for verification and price check. If requesting financial aid for utilities, must also bring current bill showing a past amount due for service at residence within the service area. ‍Go left on Church Street. ‍At first intersection, turn right onto E. Ponce de Leon Ave. and go .3 mile/3 short blocks. ‍Turn right on Sycamore Place. Other questions about DEAM services? Refer to the FAQ tab or email us at info@deamdecatur.org. Click here to see eligibility requirements. The DEAM office is open Mon, Tues, Thurs, and Fri, 9:00–11:30am. Please see each service below for specific hours and instructions. See bottom of page for holiday closings. DEAM provides emergency food and basic toiletries to qualifying residents. Depending on food pantry stocks, DEAM can generally give out bags of groceries and supplies that will provide three nutritious meals/day for three days for all qualifying family members, once per month. Basic toiletries include soap, toothbrushes, toothpaste, toilet paper, feminine hygiene supplies and diapers, and are dependent on current pantry supply. All clients must apply in-person at the main DEAM office at Holy Trinity Episcopal Church, Mon, Tues, Thurs and Fri (closed Wed) , 9:00-11:30am, before receiving food from our food pantry. Clients are asked to be at the office by 11:30am. Mon, Tues, Thurs, and Fri.
DEAM provides financial assistance to qualifying residents for prescriptions. Applicants should bring pharmacy phone number for verification and price check. All clients must apply in-person. DEAM provides new and gently used clothing for children and adults, including summer and winter wear. DEAM clients may select clothes from one of two clothes closets : Avondale Estates First Baptist Church and Decatur First Baptist Church. DEAM helps prevent cut-off of water, gas and electricity services by providing financial assistance to qualifying residents to help pay gas, electricity, and water bills. Utility bill assistance is by appointment only. Call 404-373-2300 on Mondays or Fridays from 11:00 am til noon to request an appointment time. If requesting financial aid for utilities, bring current bill showing amount past due for service to the DEAM Main Office. 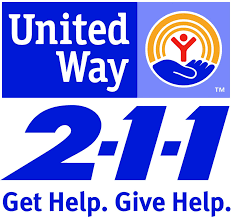 Dial 211 from any phone to be connected to the United Way 211 hotline. This excellent service provides links and contact information for many valuable services for the Decatur and greater Atlanta area, as well as nationally. DCM Main office, call 404-377-5365. For Dekalb County residents who need emergency help with food and housing, call the Project Take Charge office at 404-284-4411 between 9:00 am and 5:00 pm, Monday through Wednesday, and between 9:00 am and 1:00 pm on Thursday. Senior Connections supports programs and services for seniors that maximize independence and enhance the quality of life of seniors throughout Metro Atlanta. These services include Meals on Wheels, Home Repair, In‐Home Care, Neighborhood Senior Centers, Transportation to doctors’ appointments, classes and senior excursions. The goal of Senior Connections is to provide seniors with the assistance they need to remain in their own homes as long as possible. 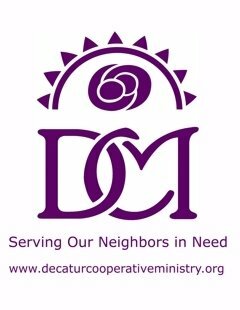 If City Schools of Decatur are closed or delayed due to inclement weather, the DEAM office will be closed. School closings are updated on WSB radio, WSBradio.com, and other local TV, radio and internet media.